BUTUAN CITY, April 25 (PIA) -- The Caraga region is now out of the list of poorest regions in the country. Caraga Regional Development Council (RDC) vice-chairperson and the region’s National Economic and Development Authority chief Dir. Carmencita Cochingco today that Caraga improved its poverty incidence significantly from 43% in the first semester of 2006 and 2009, to 34% in the first half of 2012. The National Statistical Coordination Board (NSCB) earlier reported in its First Semester per Capita Poverty Threshold and Poverty Incidence among Families for 2006, 2009 and 2012 that there are no significant changes in poverty conditions in the country. The RDC official also pointed out that with the latest development, this can be attributed to the continuous cooperation of the public and private stakeholders, spearheaded by the different local chiefs executives of the region. On April 23, 2013, the NSCB released its latest report on the state of poverty in the country through their website http://www.nscb.gov.ph. The report has used the data from the Family Income and Expenditure Survey (FIES) conducted by the National Statistics Office (NSO) last July 2012, which measured poverty incidence or the proportion of people below the poverty line to the total population. The report revealed that at the regional level, the regions with the lowest poverty incidence among families in the first semesters of 2006, 2009 and 2012, continue to be the National Capital Region, CALABARZON, and Central Luzon. Also, for the same period in 2012, ARMM consistently figured in the bottom (poorest) cluster of regions with the highest poverty incidence among families between 42 to 47 percent in the same period. The NSCB report also emphasized that even Region 9 and Caraga were included in the poorest cluster in the first half of 2006 and 2009, the two regions did not figure in the bottom cluster during the first semester of 2012. However, SOCCSKARGEN and Eastern Visayas were new entrants in the said cluster at around 37 percent. In general, according to Dir. Cochingco, based on the NSCB report, the poverty conditions in the first semester of 2012 appear to be unchanged from the first half of 2006 and 2009. During this period, the rate of increase in the average incomes of the bottom 10% and the bottom 30% is practically the same as the rise of food process and overall prices, respectively. Also, during the same period, the rate of increase in the prices of food and average per capita income of the bottom 10% (as well as bottom 30% of families) is almost the same. BUTUAN CITY, April 25 (PIA) -- The Agusan Norte Provincial Disaster Risk Reduction and Management Council (PDRRMC) members convened Wednesday to discuss the proper usage of the local disaster funds. The Department of Budget and Management (DBM) Caraga assistant regional director Ricky Sanchez presented the Joint Memorandum Circular No. 2013-1 “Allocation and Utilization of the Local Disaster Risk Reduction and Management Fund (LDRRMF). He said the circular was issued to guide LGUs in the allocation and use of the LDRRMF and to enhance transparency & accountability in the use of the fund. Based on Section 1 of Republic Act No. 10121 otherwise known as the Philippine Disaster Risk Reduction and Management Act of 2010, the LDRRMF amounting to not less than five percent (5%) of the estimated revenue from regular sources shall be set aside to support disaster risk management activities. The LDRRMF shall cover the thirty percent (30%) lump-sum allocation for Quick Respond Fund (QRF) and the seventy percent (70%) allocation for disaster prevention and mitigation, preparedness, response, rehabilitation and recovery. Also, during the council’s meeting, ARD Sanchez discussed the policies and procedures on the utilization of the LDRRM fund such as: The appropriation for the LDRRMF shall be included in the General Fund Annual Budget and/or Supplemental Budget of the local government unit (LGU); The projects and activities to be charged against the LDRRMF shall be incorporated in the LDRRM Plan, and integrated in the approved Annual Investment Program (AIP) of the LGU; The release and use of the 30% QRF shall be supported by a resolution of the local sanggunian declaring the LGU under the state of calamity of a Presidential declaration of state of calamity upon recommendation of the NDRRMC. ARD Sanchez further said that unexpended LDRRMF should accrue to a special trust fund solely for the purpose of supporting disaster risk reduction and management activities of the LDRRMC within the next five years. It may be released and utilized for new expenditure items upon submission of a revised AIP as approved by the local sanggunian and Local Chief Executive (LCE) upon recommendation of the LDRRMC in accordance with the approved LDRRMP. Using the LDDRMF, acquisition/availment of disaster risk reduction and management equipment, may be done through rental/leasing from service provider of such items, and the procurement of supplies and equipment chargeable against the fund shall be subject to RA No. 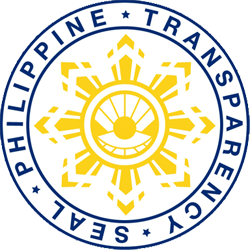 9184 (An Act Providing for Modernization, Standardization, and Regulation of the Procurement Activities of the government and For Other Purposes) and its Implementing Rules and Regulations, Sanchez added. Meanwhile, Commission on Audit (COA) Caraga assistant regional director Visitation Mendoza also briefed and shared to the members of Agusan del Norte PDRRMC that the LDRRM Fund shall be used only to support disaster risk management activities such as: Pre-disaster preparedness programs such as training of personnel, and purchase of life-saving and rescue equipment, and supplies and medicines; Post-disaster activities to include rehabilitation of public infrastructures and purchase of office/school equipment damaged by calamities during the budget year. LUNGSOD NG BUTUAN, Abril 24 (PIA) -- Ginanap kamakailan ang Candidates’ Forum na pinamunuan ng Policy Center ng Father Saturnino Urios University (FSUU). 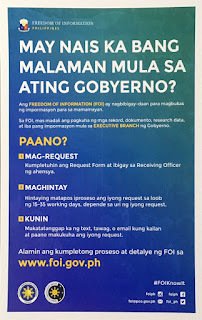 Layunin nito na maslalong makilala ng taong bayan ang mga nagsipaktakbo sa lokal na posisyon dito sa siyudad at malaman na rin ang kani-kanilang inilatag na plataporma. Sa kaniyang pambungad na pananalita, binigyang halaga ni FSUU Policy Center Executive Director Josefe Sorrera-TY ang kapaligiran, mabuting pamumuno at ang pagpapanatili ng pag-unlad na ilan lamang sa mga pinaka-importanteng isyu na kinakaharap ng syudad. “Bilang pagtugon sa mga hamon na ito, kami sa masidhing naniniwala na ang katuparan ng isang makabuluhang demokrasya ay nagsisimula sa aming mahusay at pagsasanay ng karapatan sa impormasyon,’’ sabi ni Ty. Samantala, isa-isang pinahayag ng mga kandidato ang kanilang plataporma na siyang hinihintay ng mga nagsidalo sa nasabing kaganapan. Ayon kay Atty. Roan Libarios, kung siya ay mananalo bilang kongresista, gusto niyang makatulong sa pamamagitan ng edukasyon, trabaho at pangkabuhayan upang sa ganu’n ay mapabuti ang ekonomiya ng Butuan City at Las Nieves. Ayon naman kay Atty. Lawrence Lemuel Fortun, kasalukuyang vice mayor at kandidato sa pagka-kongresista, dapat maipatupad ang pagkakaroon ng good governance para sa ikauunlad ng bayan. Samantala, inihayag din ng mga kandidatong tumatakbo sa pagka alkalde, bise-alkalde at mga konsehal ang kanilang mga plataporma. SURIGAO CITY, Abril 25 (PIA) -- Gideklara ni Presidente Aquino ang Mayo 13 isip walay trabaho dinhi sa nasod agig paghatag og kahigayonan sa mga Filipino nga makahimo sa ilang katungod pagbotar sa Nasyunal ug Lokal eleksyon atol sa maong adlaw. Kini maoy gianunsyo ni Presidential Spokesperson Edwin Lacierda atol kagahapon nga gipagawas sa Presidente ang deklarasyon subay sa Proclamation No. 571 nga gipirmahan ni Executive Secetary Paquito N. Ochoa Jr. niadtong Abril 23. Matud pa ni Lacierda nga sumala sa gitakda sa batakang balaod ang nasyunal ug lokal nga piniliay ipahigayon sa ikaduhang adlaw nga Lunes sa bulan sa Mayo ug karong tuiga ang nasyunal ug lokal nga piniliay naatol sa Mayo 13 mao nga ang Presidente mipagawas sa maong proklamasyon aron gyud mahatagan og kahigayonan ang mga Filipino nga makabotar. Dugang pa niya nga ilang giawhag ang mga lehitimong botante sa pagpahimulos niining maong non-working holiday aron mo partisipar sa proseso sa piniliay nga maoy tinubdan sa atong demokrasya.